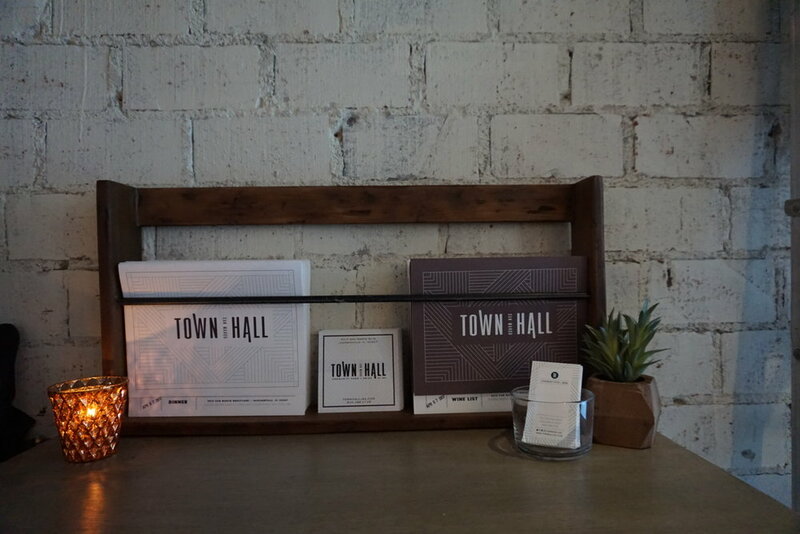 Led by two-time James Beard nominee Tom Gray, Town Hall is a community gathering spot for sharing good food and drink in good company. We opened in the spring of 2017 after extensive renovations of an existing space in the historic neighborhood of San Marco. Working with the design and architect team at Atlanta-based ai3, we brought a decidedly west-coast design aesthetic to the small restaurant to pair with our menu influenced by growing up and living in the west. We hope you will love our vibe as much as we love bringing it to you! Our menu draws inspiration from developing fresh, layered flavors and using seasonal ingredients from local farms and artisan purveyors. Enjoy a selection of wines from around the world creative craft cocktails, and Jacksonville’s finest local craft beers in our comfy lounge, bar or intimate dining room. We also invite you to join us at our "big sister" restaurant, Moxie Kitchen + Cocktails! Bustling and filled with urban-rustic beauty, Moxie expresses our love of "American flavors from coast to coast" paired with a creative cocktails, ample patio dining, and multiple venues for groups of all sizes including buy-outs. Conveniently located in the center of Jacksonville, half-way between Downtown and the Beaches, it is Jacksonville's locally-owned, sustainably-sourced go-to at the bustling St. Johns Town Center. Both Town Hall and Moxie Kitchen + Cocktails are the brain children of Chef Tom Gray and his partner in life and business, Sarah Marie Johnston. Together with a dedicated team of back-and front-of-the-house industry pro's and savvy business partners, they are leading the charge to bring a higher level of recognition to the North Florida dining scene and sustainable sourcing movement. Drop us a line for press inquiries, or to learn more about our hospitality management and consulting company, CuliVino.